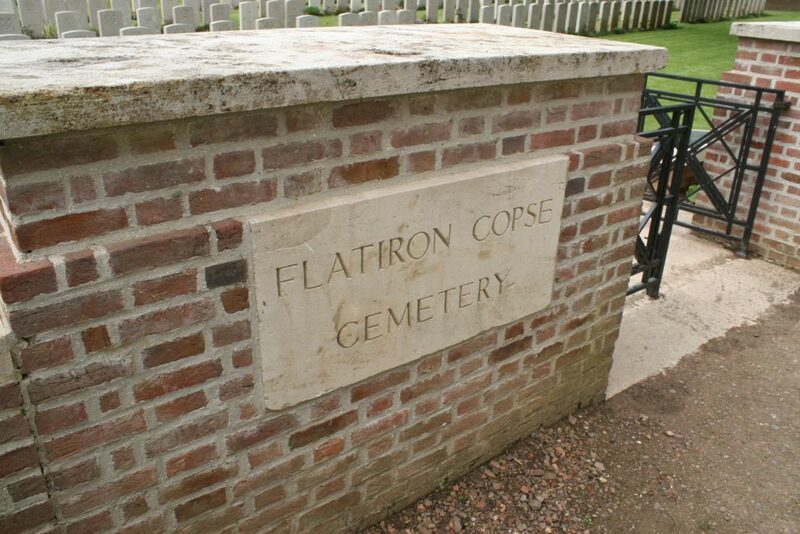 A few hundred yards north of the 38th Welsh Division Memorial, Flatiron Copse Cemetery is situated alongside the road at the north eastern edge of Mametz Wood. 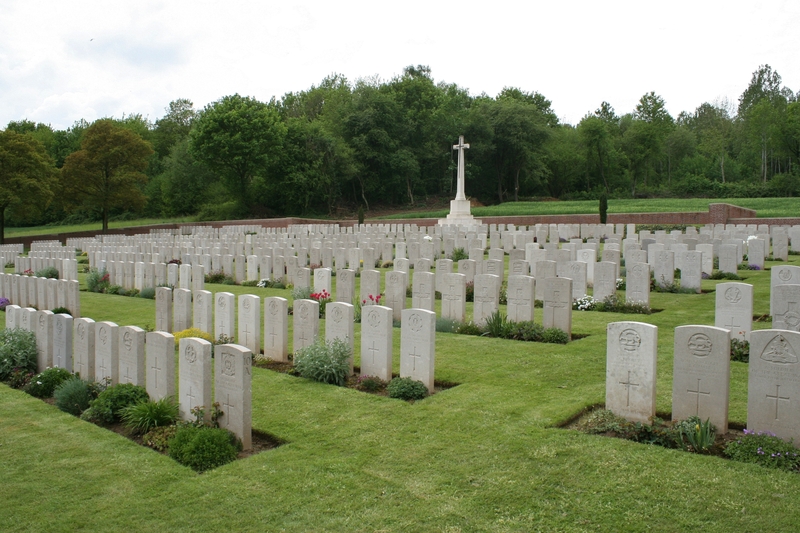 …Mametz Wood in the background. …special memorials to thirty six men ‘known’ or ‘believed’ to be buried among the unidentified burials in this cemetery. 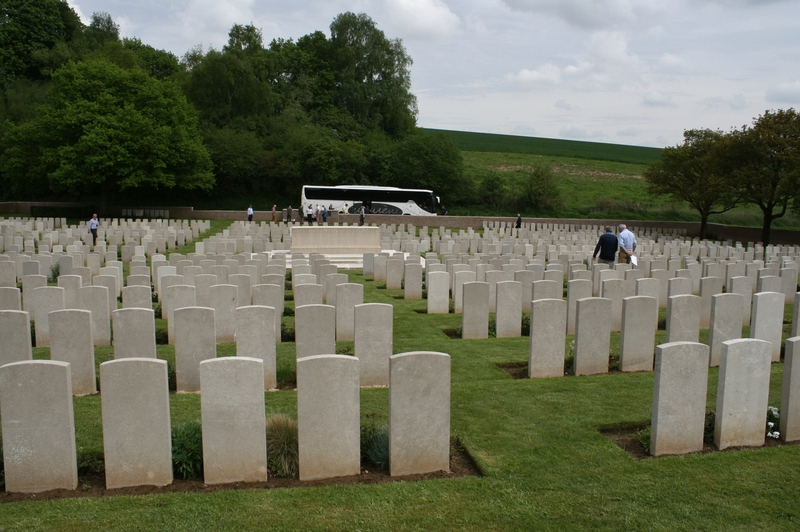 Stone of Remembrance, Cross of Sacrifice, and Mametz Wood. Two Queen’s officers of 24th Bn. 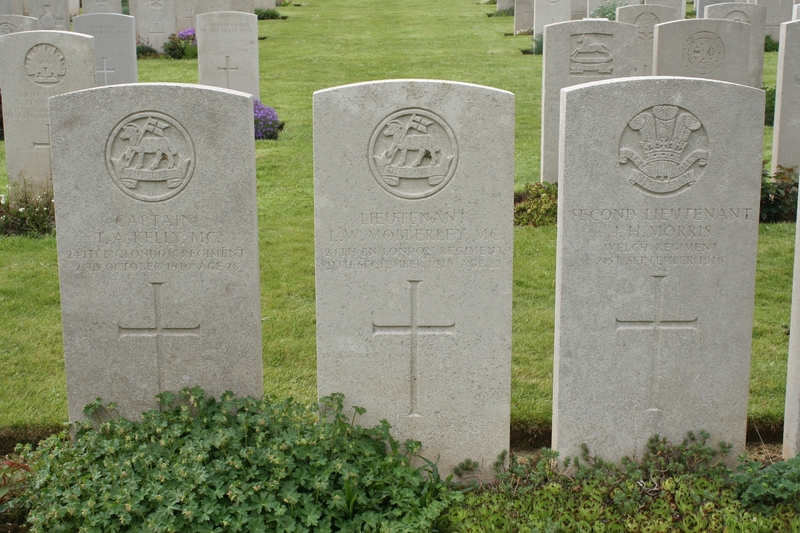 London Regiment, both recipients of the Military Cross, lie alongside a Welsh Second Lieutenant. Allow me to introduce you to Lance Corporal Edward Dwyer V.C. (front right), photographed at a public reception held for him in Kingston-upon-Thames in July 1916. We had come here to visit his grave. 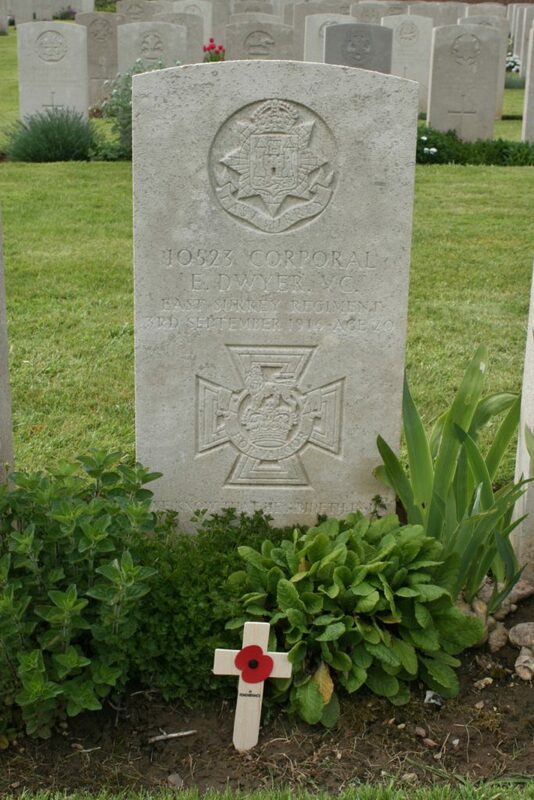 Dwyer was a nineteen year old Private when he won the Victoria Cross for his bravery at Hill 60 on 20th April 1915, during the Second Battle of Ypres. 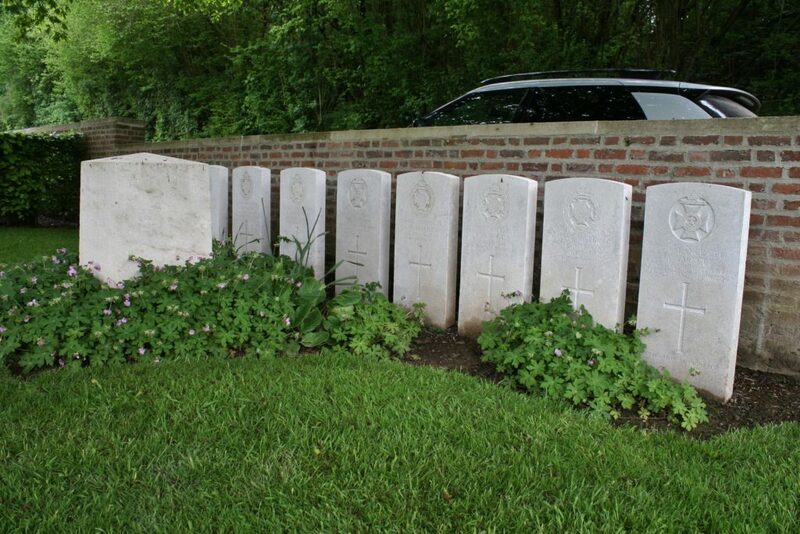 He would live to enjoy his fame for sixteen months before he was killed in action near Guillemont on 3rd September 1916. The newspapers went into overdrive. Edward Dwyer now lies in Plot III, third headstone from the left in the row above. 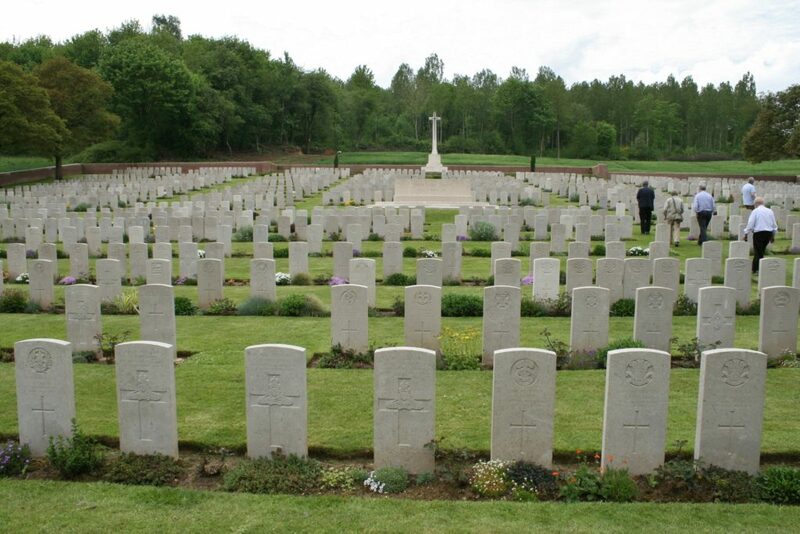 Of the just over 1500 burials in the cemetery, 420 are unidentified. 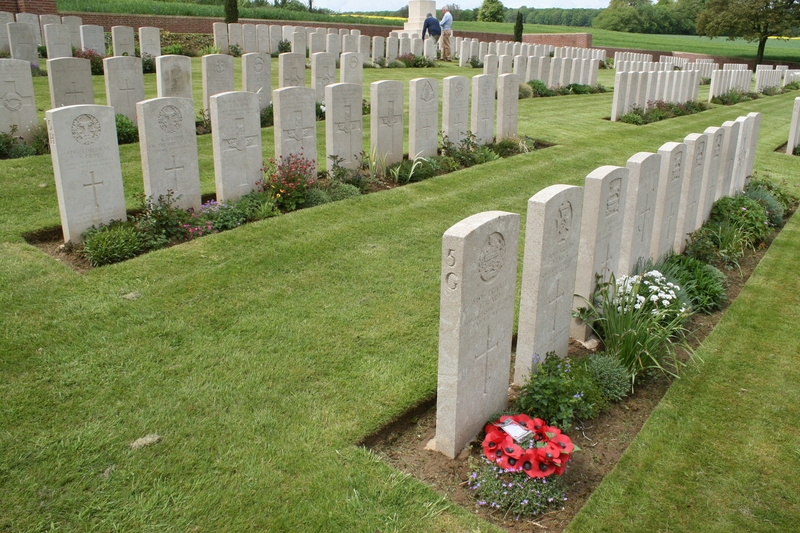 You can find the cemetery plan, by kind permission of the CWGC, here. …by which time the tide of war had moved east. Stone of Remembrance (above & below). 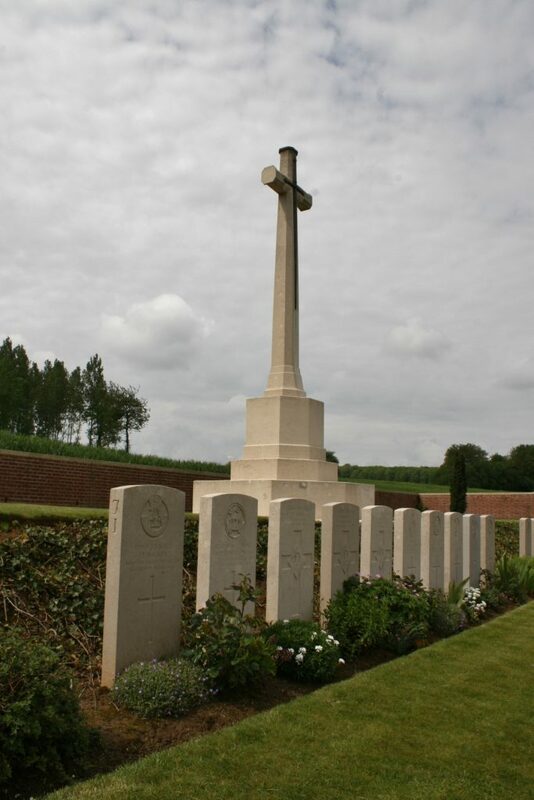 A couple of men were buried here in August 1918, and more than 1100 were brought in after the war from the surrounding battlefields or from small battlefield cemeteries, unsurprisingly nearly all men killed during the summer months of the Battle of the Somme. …is a Lieutenant Colonel from the Queen’s. 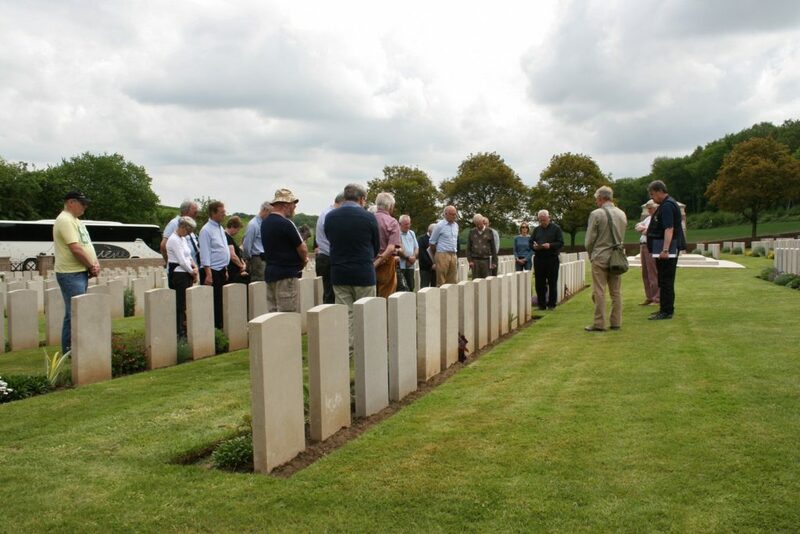 During the fighting on 15th September for High Wood*, the 19th Bn. 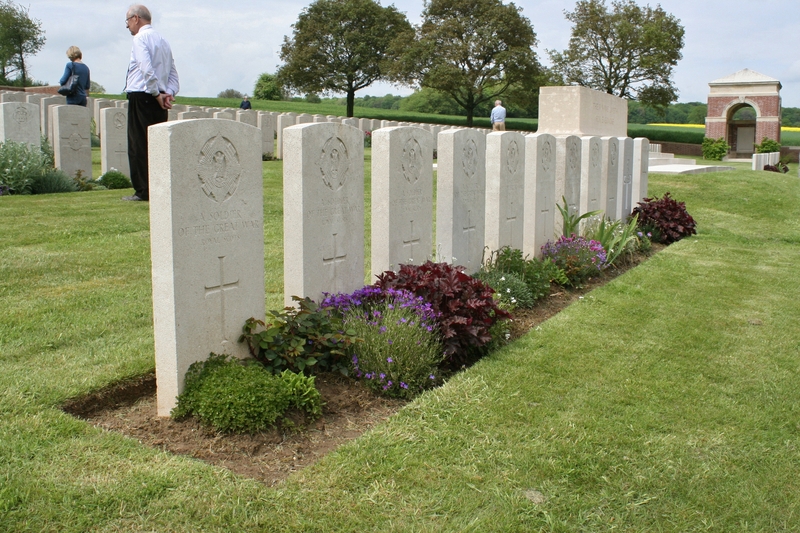 London Regiment was in the second wave of the attack, and despite the successful capture of the wood later in the day, confusion reigned during much of the morning. 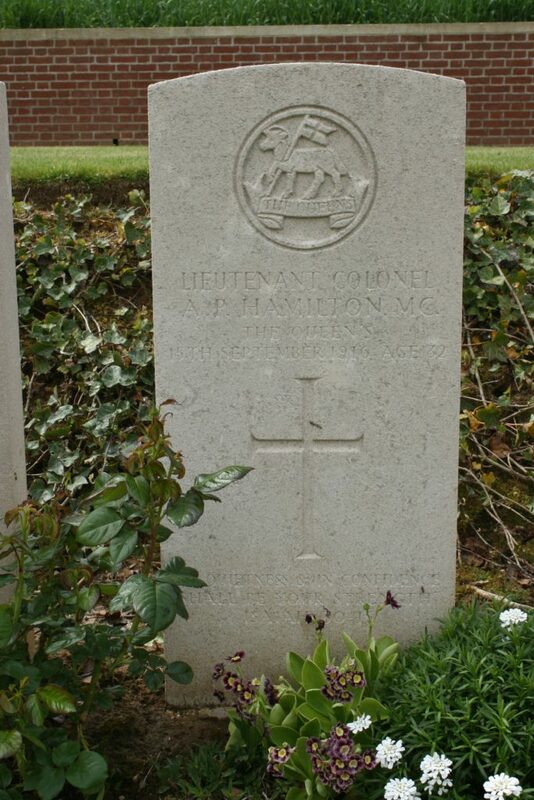 Their newly promoted Comanding Officer, Lieutenant Colonel A. P. Hamilton, organised a party of men to rush the German trenches but was killed, along with all the men who went with him. 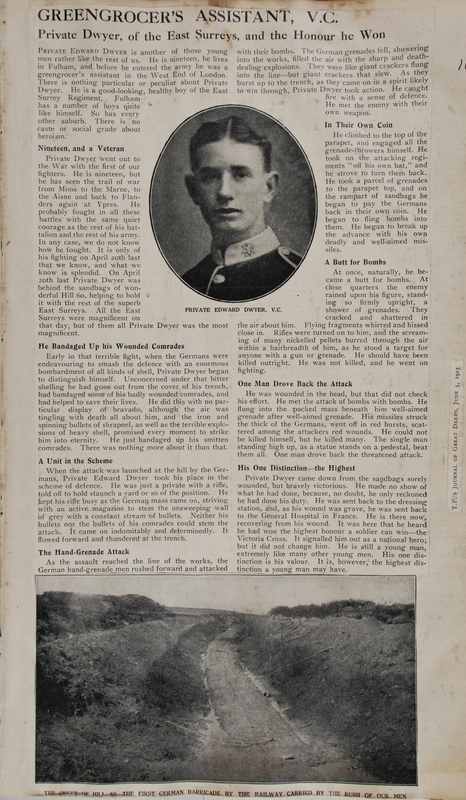 A rifleman of the 18th Bn. 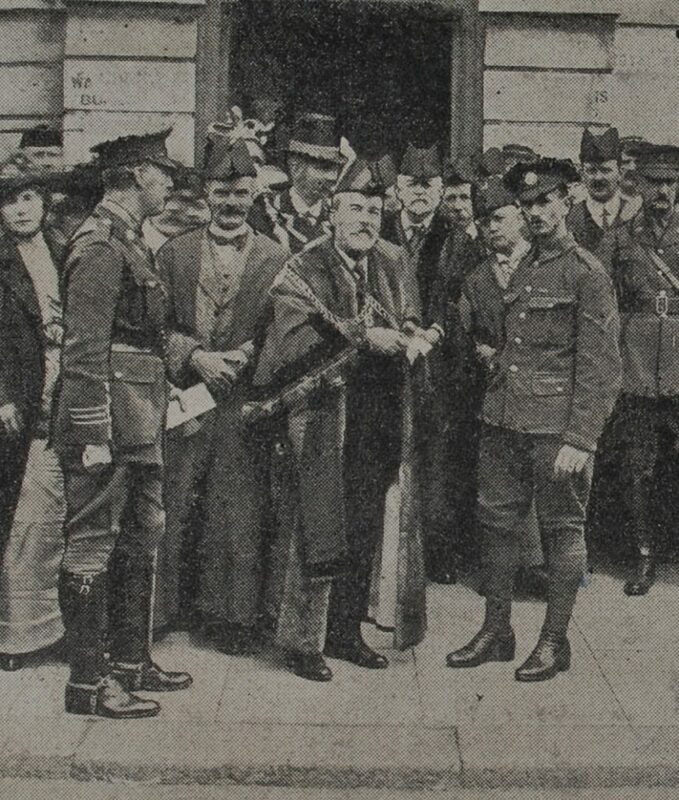 London Regiment (London Irish Rifles), unaware that Hamilton had been promoted to command 19th Bn. 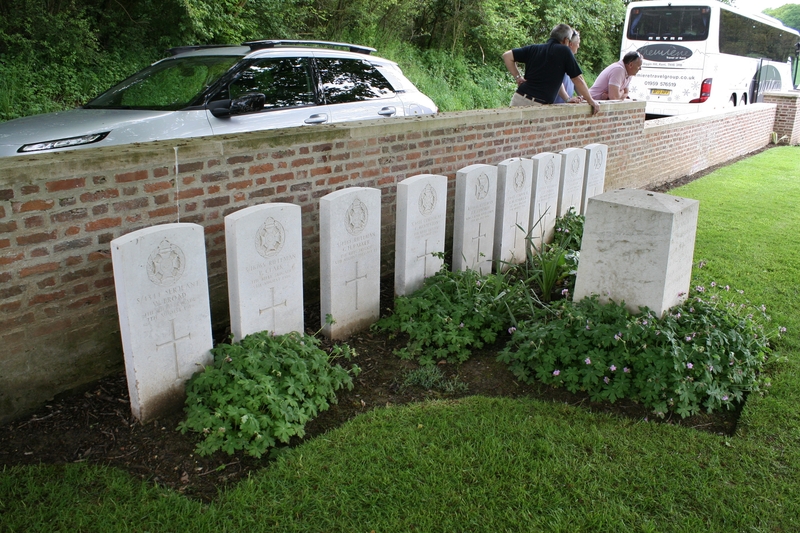 London Regiment, later mentioned finding the bodies of their C.O., Major J. R. Trinder and “Major Hamilton, our second in-command” as well as their company commander, Major P. A. C. Maginn. 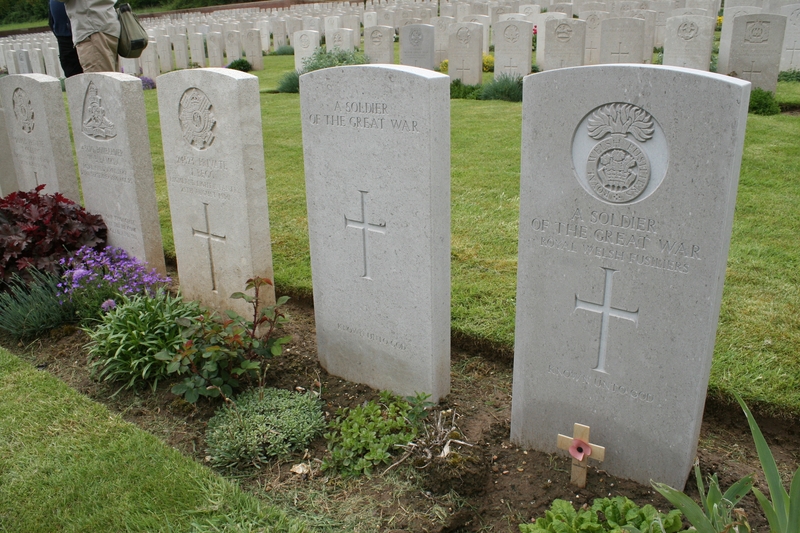 “We dug their graves at the cross roads where the trenches commence, and placed three little wooden crosses to mark the resting place of these three men who, by their courage and devotion, had done so much to inspire confidence in we the men of the regiment.” All three men now rest in Flatiron Copse Cemetery, although no longer together. *we shall be visiting High Wood soon. …you can see more special memorials along the cemetery boundary near the entrance. They remember nine British soldiers who were killed in action in 1916 and buried in Mametz Wood Cemetery, but whose graves were destroyed in later battles. It’s interesting how, in the report below, Corporal Dwyer gets the headline despite the article actually having nothing specifically to do with him. 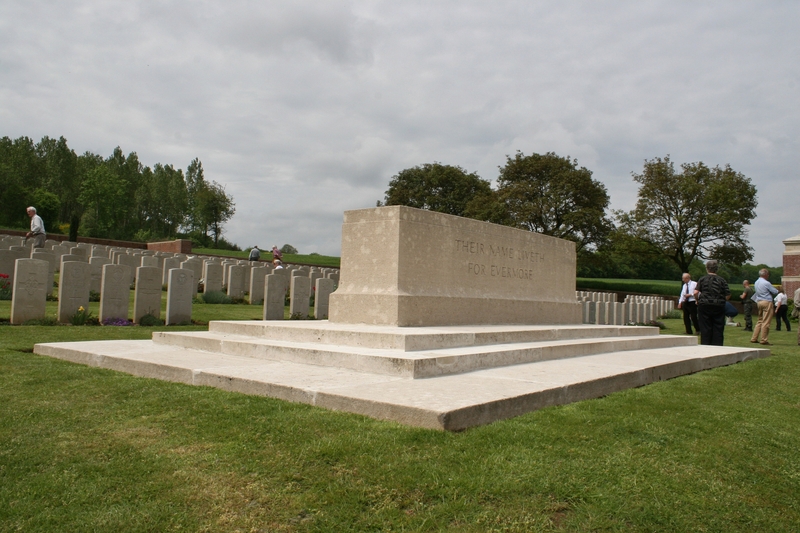 Although Sergeant Philip Griggs appears to have made it to a dressing station, his body was later lost, his name now inscribed among the 72,000 names on the Thiepval Memorial. All newspaper clippings are reproduced here by kind permission of the Surrey History Centre and the foresight of Lieutenant Colonel Henry Paul Treeby D.S.O. One day I might tell you more about him. Lt.Colonel Hamilton’s grave here brought up thoughts of a mystery I’ve been thinking on for a decade. Capt. 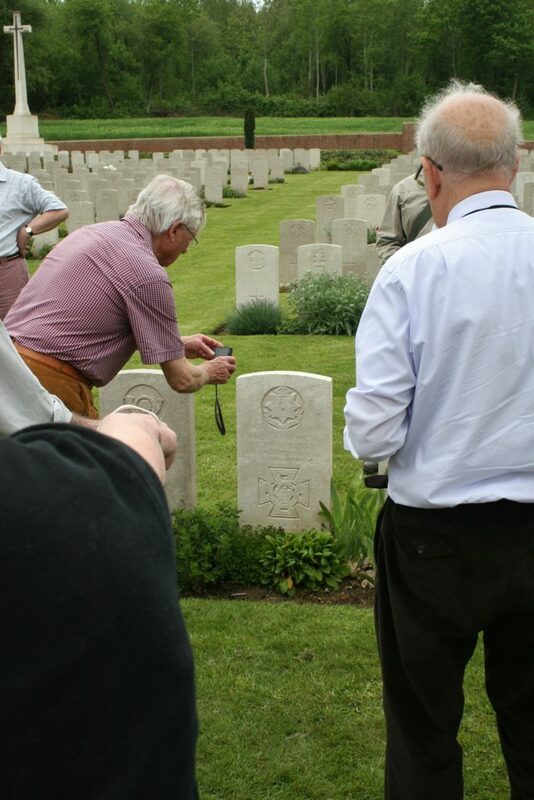 Arthur Roberts of the 15th battalion London Regt. (Civil Service Post Office Rifles) was killed in action at High Wood the same day 15Sept/16. 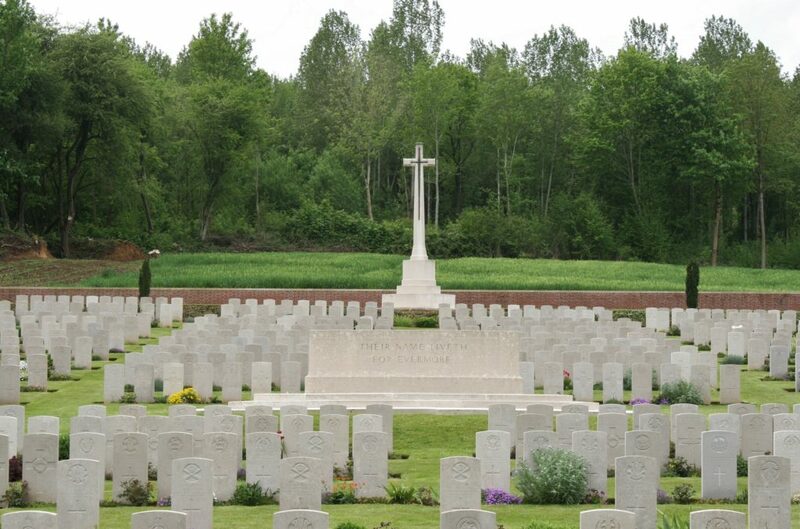 He however is buried at Cerisy-Gailly French Military Cemetery near 20 km away on the south bank of the Somme River. 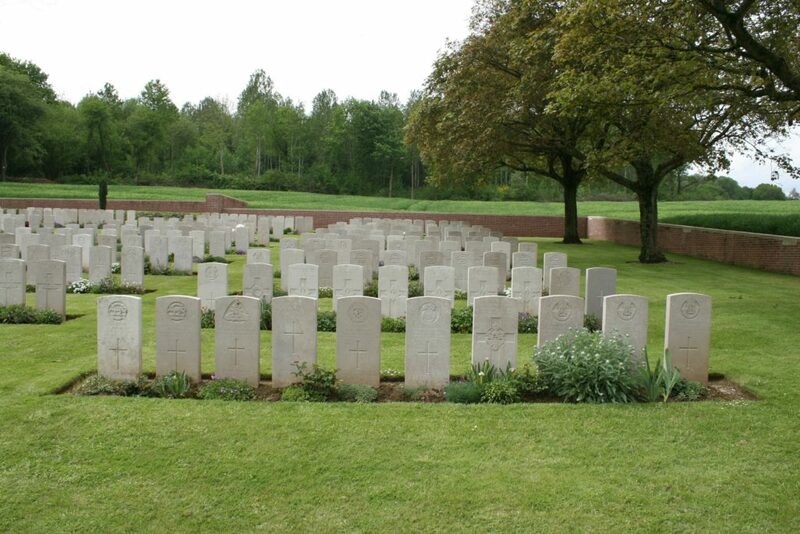 Likewise my great uncle Arthur killed just a week and half later just north of Mouquet Farm on the 27th Sept/16 is buried at nearby Cerisy-Gailly Military Cemetery a few hundred yards away from the French Cemetery. 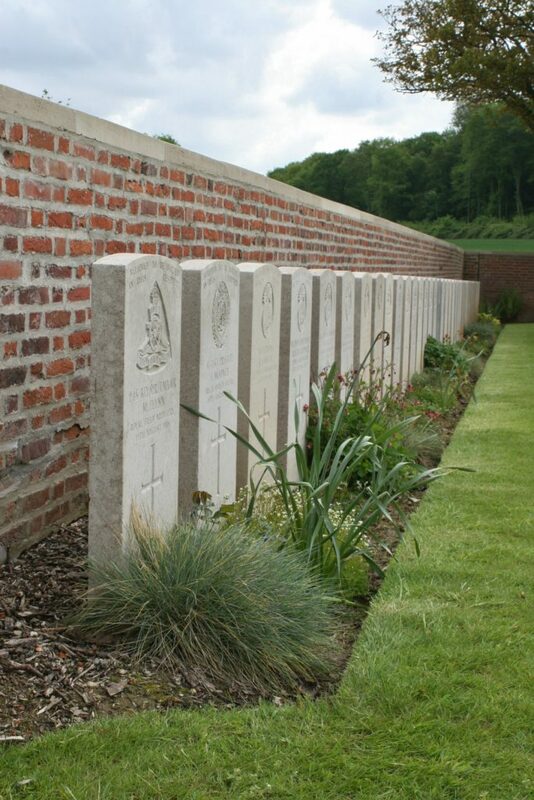 CWGC cemetery narrative seems to indicate neither cemetery was open until 1917 when a casualty clearing station opened near there. 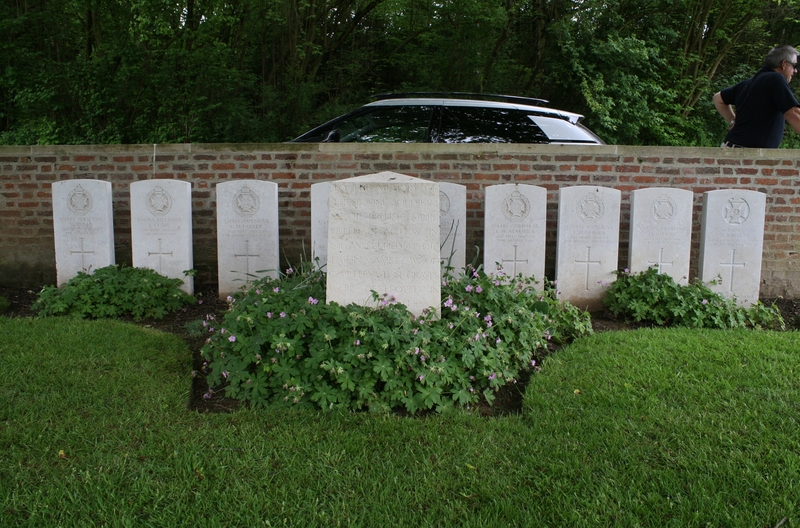 I wonder why these fallen were interred so far from where they fell? Both Arthur’s seem to have been buried as “unknowns” originally, and identified at some point later. 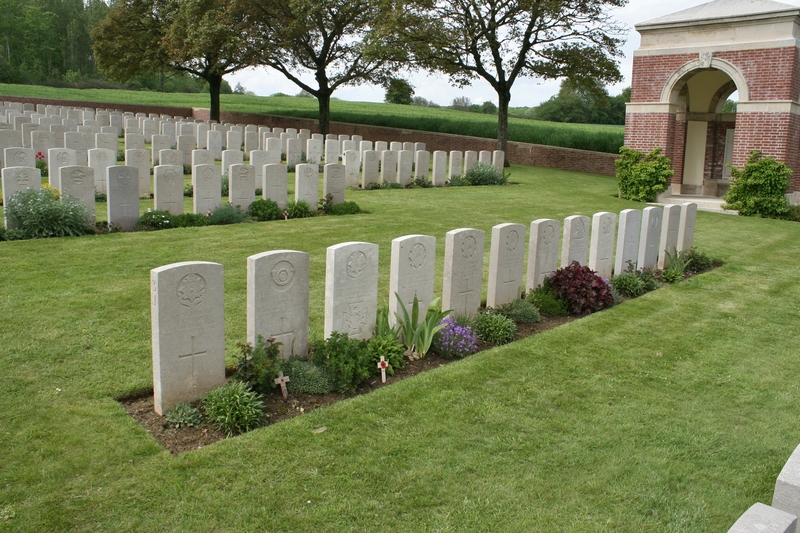 Are there any CWGC records that detail battlefield clearance and burial decisions that might explain the distance from place of death and burial ? It’s a really good point, and thank heaven you said you’d been thinking about it for a decade. Gives me time to consider it further, as even (even?) I am not entirely sure I understand the procedure correctly myself. I will look ino it all further when time allows, I promise. There were some books I once had, pre-river rising, that might have helped, but…..
To be truthful I haven’t thought about it for all of the decade. Just here and there. And, I’m while confessing, the two Cerisy-Gailly Cemeteries are 150 yards apart not several hundred. A three minute walk someday. Someday. I’ll put myself forward to be your tour guide?! Have you thought about posting this mystery on the Great War Forum. Usually some one will know or point you in the right direction. Certainly an option. I was talking to a friend of mine on Thursday evening after a meeting we were both at. He was involved in (involved in – that was his job!) body-bagging after the first Iraq War – he very sensibly suggested contacting the CWGC and asking them.